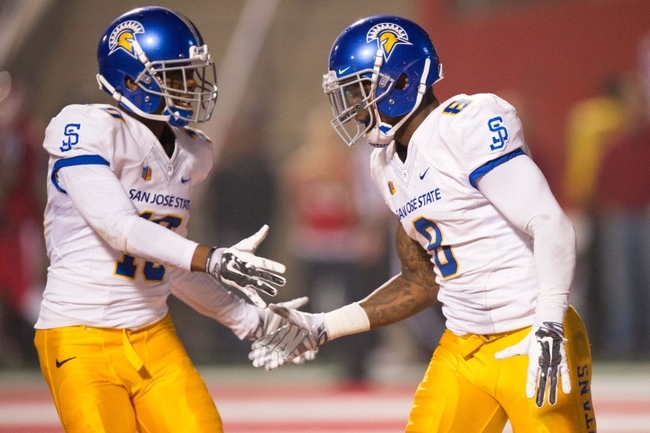 I see potential in you San Jose State. You’ve recruited well and you have one of the most experienced quarterbacks in the conference. Hopefully, you don’t have to do whatever that guy had to do to break free, because he looks pretty unbalanced. An argument can be made that the Spartans fell short, way short of their potential last season. 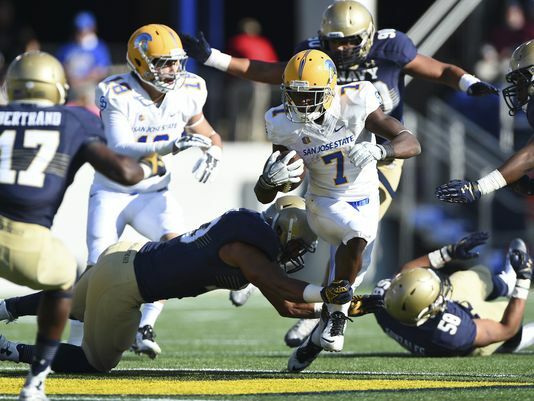 That shouldn’t be the case this season, but San Jose State might still be a year away from making major waves in the Mountain West and getting back to bowl eligibility. Joe Gray is one of the most experienced starting quarterbacks in the conference. His numbers last season weren’t outstanding, but his 63.6% completion percentage is solid. Despite completing a high percentage of his passes though, he only passed for 2,305 yards and 11 touchdowns. Once again, not terrible, but not what you might expect from a guy who completed almost 64% of his passes. His nine interception and twelve total turnover total isn’t awful, but looks worse when considering he only accounted for 14 touchdowns total. That ratio is the biggest thing that needs to improve in 2015. Gray does have one of the better possession receivers at his disposal in Tyler Winston, and a solid all-purpose back in Tyler Ervin. These two will be the primary receiving and rushing weapons in 2015, respectively. Apart from Winston, Gray also has his second and third leading receivers in terms of yards back in Hansell “So Hot Right Now” Wilson and Tim Crawley, both of whom had over 400 receiving yards last year. With four starters returning on the offensive line, that should be a relative strength for this offense. LT Wes Schweitzer leads the way as he is entering his third season as a starter. True freshman Troy Kowalski has been tabbed as the expected new starter at left guard, but with the veteran play around him hopefully it won’t take too long for him to get acclimated to the college pace of play. 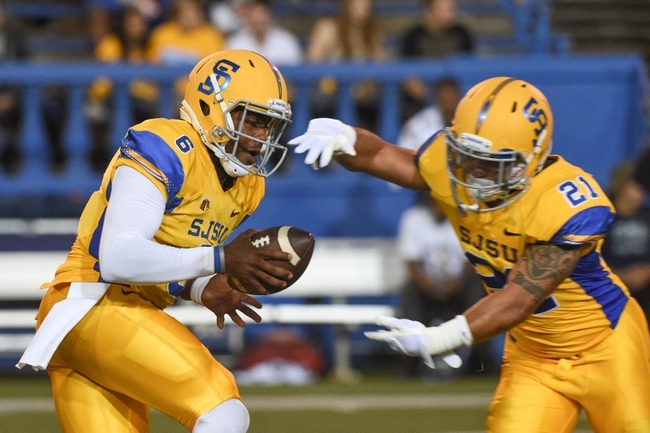 Interesting stat for the day: San Jose State gave up the least passing yards per game in the country last season. Unfortunately, they were also a bottom ten run defense, which might have something to do with why the Spartans went 3-9. Still though, having the number one pass defense is praiseworthy. It’s also a good sign that the secondary brings back both corners and its top safety. Corners Jimmy Pruitt and Cleveland Wallace III combined for four interceptions and 20 passes broken up last season, and safety Maurice McKnight pitched in a pick and five pass break-ups of his own. Christian Tago proved an adept tackler at linebacker last season, recording 78.5 tackles. He did not, however, make many of those tackles behind the line of scrimmage with only five tackles for loss and no sacks. Neither did anyone else returning at linebacker though either, with three other linebackers returning who saw game action last year who combined for only six tackles for loss and one sack. The defensive line doesn’t return much in the way of production. Cedric Lousi and Tony Popovich are the only returning defensive linemen who tackled anyone behind the line of scrimmage and they had three tackles for loss and one sack apiece. Fortunately, there are plenty of bodies on the defensive line, so maybe there is a chance that they can find someone to make tackles in the backfield. This team has some decent pieces and should have a bright future if they continue to recruit like they did this past year. That might now help much this year though as another 3-9 season seems likely. Bowl eligibility should be the goal this season, but with four of their first six games on the road, including a trip to Auburn, that might be a bit beyond this team’s reach for 2015.